Fans of musicals are spoiled by the outstanding lineup of shows from Broadway In Chicago, presented on the stages of various downtown theaters. Ornate historic Loop venues like the CIBC Theatre (home of the smash Hamilton) were built in the 19th and early 20th centuries. Broadway Playhouse at Water Tower Place, the newest and most intimate addition to the family, hosts the a cappella sensation Gobsmacked! from Dec. 5-10, 2017. 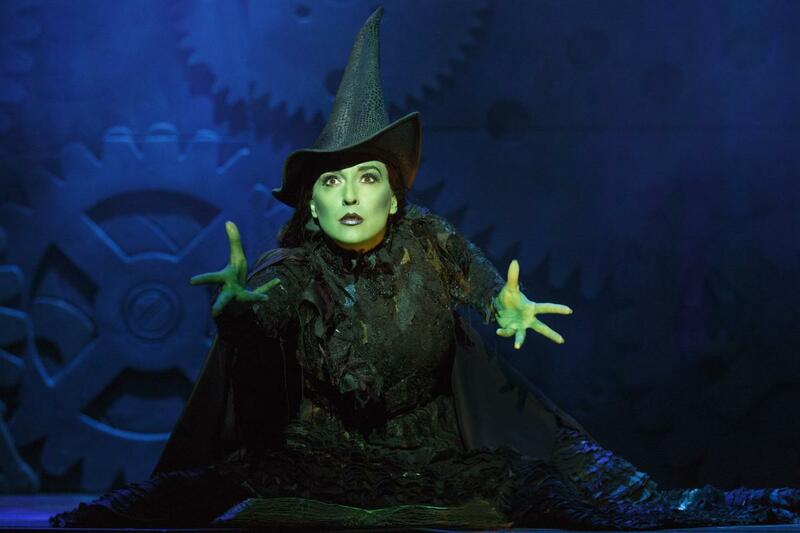 From Dec. 6, 2017-Jan. 21, 2018, Wicked returns to the James M. Nederlander Theatre (formerly the Oriental Theatre), and Love Never Dies (the Phantom of the Opera sequel) makes its premiere on Feb. 14, 2018, at the Cadillac Palace Theatre. Goodman Theatre in the Loop is known for its culturally introspective plays. On stage from Jan. 20-Feb. 25, 2018, Blind Date, which chronicles a historic meeting between President Ronald Reagan and Mikhail Gorbachev, makes its world premiere. Another of the city&apos;s highly acclaimed theater groups is Lincoln Park’s Steppenwolf Theatre Company. Gary Sinise is a founder, and the star-studded ensemble includes John Malkovich, Joan Allen and William Petersen (of CSI fame), who stars in The Minutes, a scathing play about small-town politics, from Nov. 9-Dec. 31, 2017. Inspired by Lewis Carroll&apos;s novel Through the Looking-Glass, Lookingglass Theatre Company on The Magnificent Mile pushes the boundaries of theater, incorporating dance and circus arts into performances like Hard Times, on show through Jan. 14, 2018. Actor David Schwimmer, who played Ross on the hit TV show Friends, is a co-founder, ensemble member and director. Schwimmer will be back in Chicago to direct the world premiere of Plantation!, opening Feb. 21, 2018. 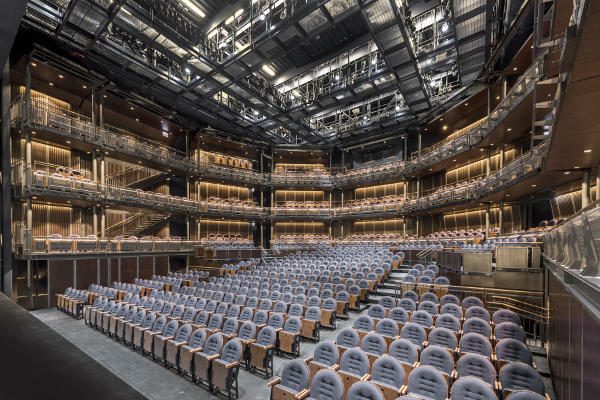 Chicago Shakespeare Theater at Navy Pier celebrates its 30th anniversary this year, and introduces a new year-round performance venue with the opening of The Yard. The Yard pioneers a new style of theater architecture, with huge moveable towers that allow for customized stage and seating configurations for each show, so even returning guests won&apos;t recognize the space. Two additional stages, the Courtyard Theater and the smaller Theater Upstairs, round out the offerings here. Red Velvet, the story of the first black actor to appear on a London stage as Othello in 1833, runs from Dec. 1, 2017-Jan. 21, 2018. 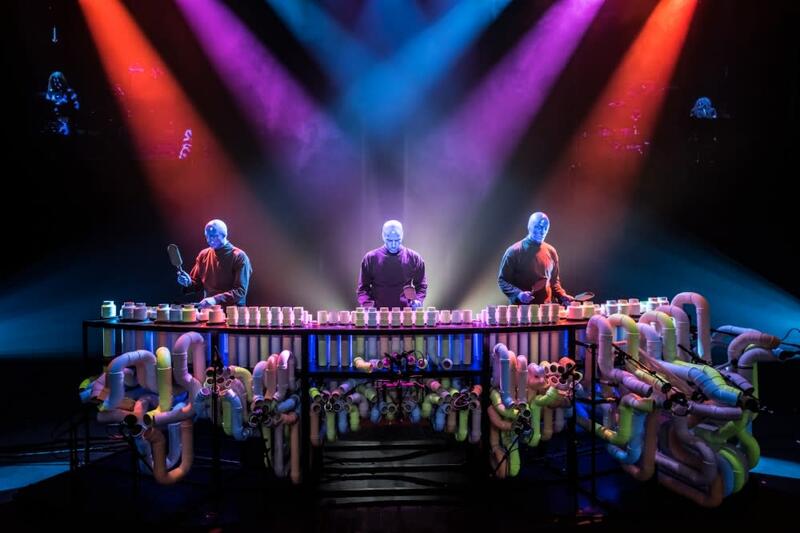 The lively and unpredictable Blue Man Group at Lakeview’s Briar Street Theatre in the Belmont Theater District will keep you on the edge of your seat. Sit up front in the poncho section for a more interactive experience. The kooky bright blue actors appeal to kids and adults alike with a series of shocking stunts, music and hilarious antics. Little ones will also enjoy the sophisticated, yet age-appropriate, shows at Chicago Children&apos;s Theatre in its West Loop home, The Station. Here, storybooks and familiar fairytales are reimagined with life-sized puppets and four-dimensional sets, such as A Year With Frog & Toad, on stage through Oct. 29, 2017. From Feb. 8-18, 2018, Chicago celebrates its critically acclaimed theater scene with a 10-day extravaganza, offering discounted tickets to more than 120 shows. With so many great shows and not enough days to see them all, the choices can be overwhelming. Consider it an opportunity to discover new talent in neighborhoods across the city. Take a chance on a lesser-known stage like the American Blues Theater or Windy City Playhouse for everything from rousing musicals to children&apos;s theater and avant-garde drama. Snag half-price, last-minute tickets for more than 200 theaters from Hot Tix.